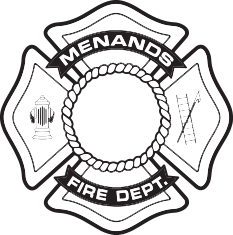 You are about to make application for membership in the Menands Fire Co. No. 1, Inc. You will be expected to keep up your dues and take an ACTIVE part in ALL social functions of the Company. Your attention is called to the following oath, which you will be expected to take - if you are accepted - as a member of the Company. wishing to be of service to my family, neighbors, and my community, do promise that as a member of the Menands Fire Co. No. 1 shall support its Constitution and By-Laws."